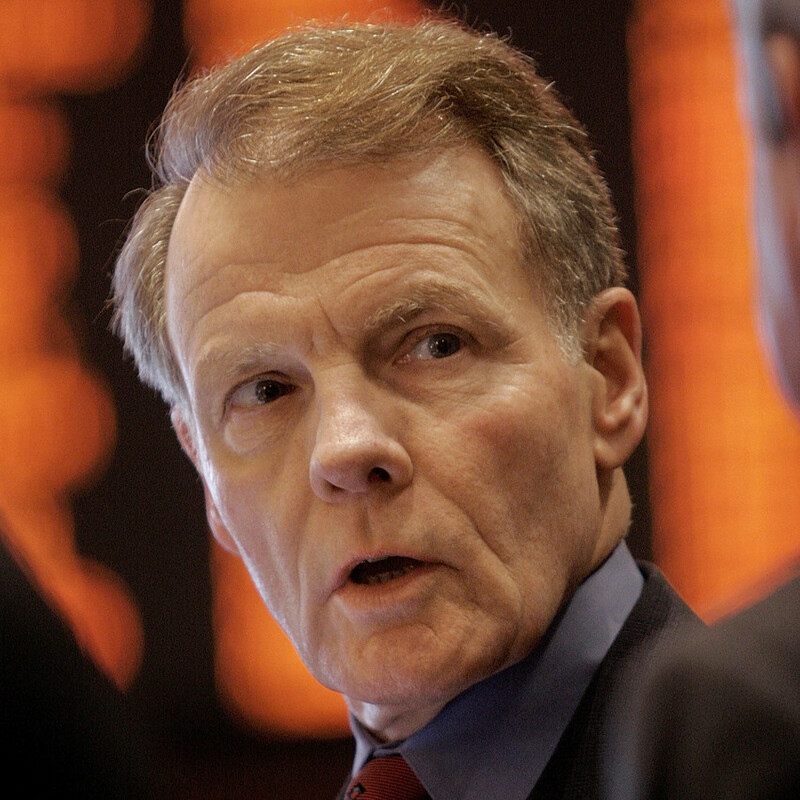 File: Illinois House Speaker Michael Madigan. File: House Speaker Michael Madigan. As legislation to allow and regulate hydraulic fracturing, or “fracking,” in Illinois’ New Albany Shale moves through the state legislature, House Speaker Michael Madigan has called for a two-year ban on the controversial fossil fuel extraction process so scientists can study its potential impacts on public health and the environment. Rep. Deb Mell’s HB 3086 in the House and SB 1418 (sponsored by Sen. Mattie Hunter) each call for a statewide moratorium on fracking until a task force conducts “a thorough review." Fracking blasts loose previously inaccessible stores of gas and oil in rocks deep underground using water, sand and a proprietary mix of chemicals. The process has allowed other states to tap new energy resources, but has sparked widespread pollution concerns. So far there is no high-volume fracking in Illinois, but Madigan’s proposal pre-empts the expected passage of a regulatory bill that would set up a permitting process and potentially allow drilling in a matter of months. Downstate Reps. John Bradley (D-117) and David Reis (R-108) introduced that bill, HB2615, which was called the most stringent nationwide for its water monitoring provisions and environmental restrictions. According to an amendment to that bill, anyone applying for a permit must disclose to the government the chemicals and total volume of water in their fracking mix at least three weeks before they start drilling. They can apply to have that information protected as a trade secret, however, in which case it could be revealed only to a health professional who “articulates why the information is needed,” or to other government agencies in the event of an emergency. In addition, anyone can challenge a company’s invocation of trade secret protection. The department will also create a website for public information on hydraulic fracturing, including a searchable database with information on well operators, their chemical disclosure information (that hasn’t been protected as a trade secret), and violations or complaints. Proponents of the bill announced Thursday that industry would be required to pay $13,000 per well, as well as 3 percent per barrel in severance taxes for the first two years of operation, with that figure set to increase over time. Of that money, about 85 percent will go to the Illinois Department of Natural Resources for enforcing hydraulic fracturing regulations. The remainder will go to the state&apos;s Environmental Protection Agency for general pollution complaints. But environmental groups, who praised Madigan for supporting the moratorium, urge caution. Activists rallied in Springfield this week, calling for such a ban in light of concerns over fracking&apos;s potentially harmful effects on the environment and public health. The federal Environmental Protection Agency is currently studying fracking’s impact on drinking water resources. Their report is not due until 2014. Industry advocates say even a temporary ban on fracking is an economic loss to the state. A report commissioned by the Illinois Chamber of Commerce Foundation projected up to $9.5 billion in economic activity and 47,000 jobs for the state if 90 percent of estimated resources are developed. Besides direct employment in drilling, that report included other industries, including food services, hospitals, real estate and engineering. New York’s State Assembly voted for a 2-year moratorium on hydraulic fracturing last week, but the measure now faces a divided state senate. Governor Andrew Cuomo is awaiting recommendations from the Departments of Health and Environmental Conservation, and has previously supported two similar measures in 2010 and 2011. In Illinois, environmental organizations lobbying for the moratorium include The Illinois Coalition For a Moratorium on Fracking (ICMF), S.A.F.E. (Southern Illinoisans Against Fracturing our Environment, CAPOW! (Citizens Act to Protect Our Water), Stop the Frack Attack on Illinois, Rising Tide, RAN Chicago, IPA (Illinois People’s Action), the Gray Panthers, the Illinois Sierra Club and Environment Illinois.